If there’s one thing I LOVE it’s a good cookie/bar swap during the Christmas season. This year I wanted to whip up some kind of Cheesecake bar because it’s Brad’s favourite and if I’m honest I was looking to make his day. 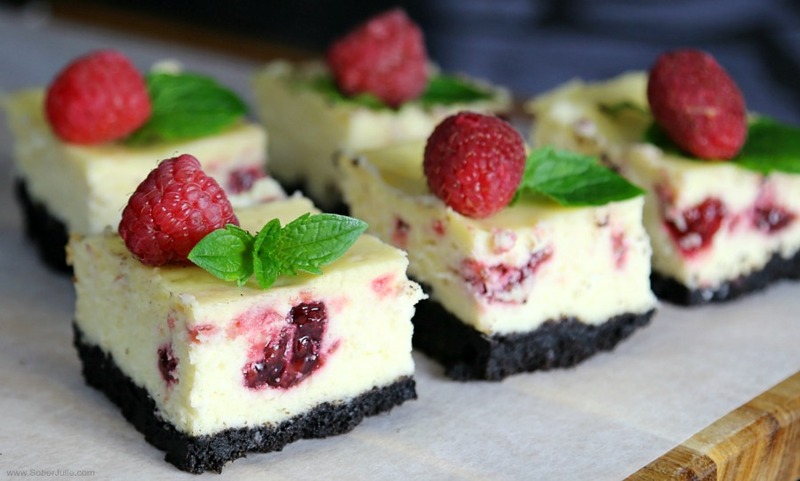 I chose to make Raspberry Peppermint Cheesecake bars because they’re super simple!! This is a recipe that will work EVERY.SINGLE.TIME which makes life SO much easier. You can top with your choice of fruit, pie filling, crushed candy cane or whatever floats your boat. Brad prefers his cheesecake naked so that’s what I went with this time. Beat cream cheese, sugar and peppermint extract until well blended. Add in the eggs, 1 at a time, mixing on low speed after each just until blended then pour into the crust. Spoon dollops of raspberry pie filling into the cream cheese mixture. 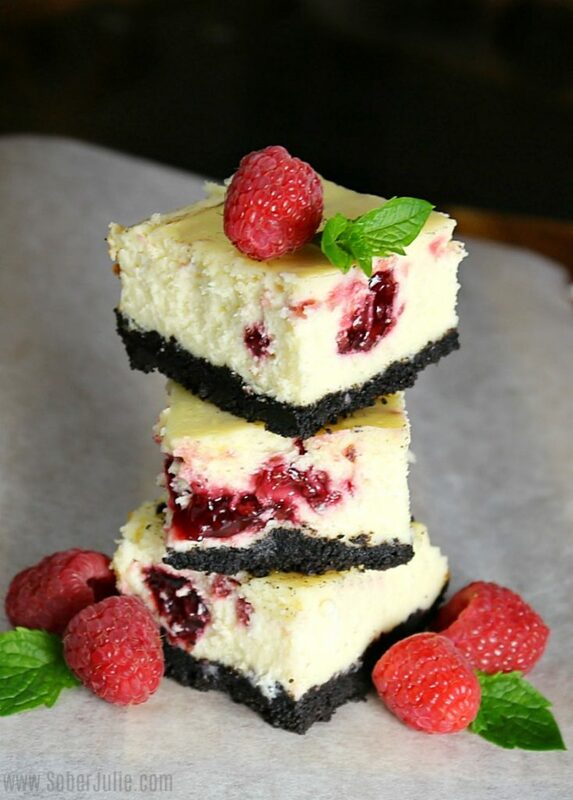 Take a toothpick and swirl the raspberry filling around, into the cream cheese mixture. Bake for 55 minutes or until the centre is almost set. Remove from the oven and run a knife around the edges to loosen. 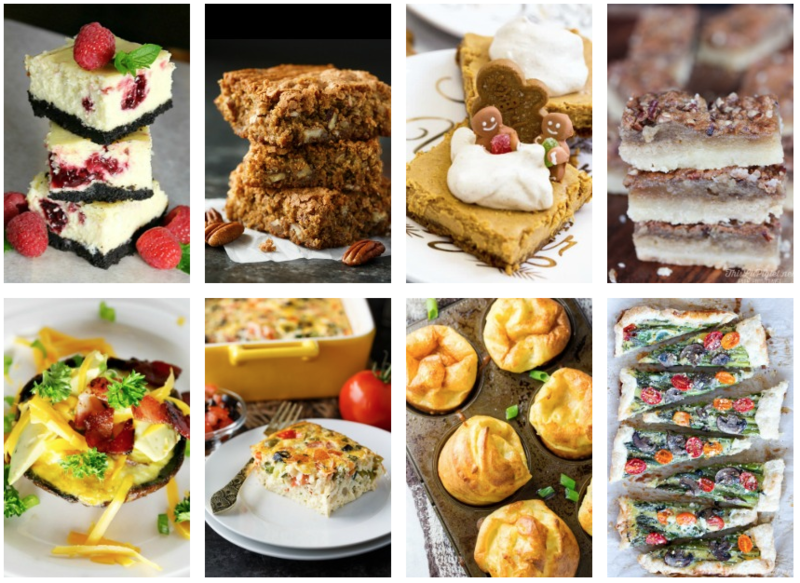 Want to see more delicious ideas for Christmas desserts? 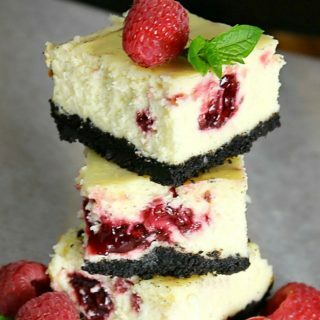 These look so dainty and tasty, especially with the oreo crust. Oh wow, just how tasty is it? I can’t wait when I finally prepare it. I should have some time over the weekend, so I will make sure to put my whole heart and soul into that. Thanks!